Most people would argue that the end of a year is also the time most people and their ideas for improving their business hibernate! Well that idea would seem a myth as we at Big Web Company have been more busy than we can just about handle (seriously). I haven't updated this for a while so a quick headsup of some of the most recent goings on. A load of new projects in the past 2 weeks including a couple that had risen from an earlier death. 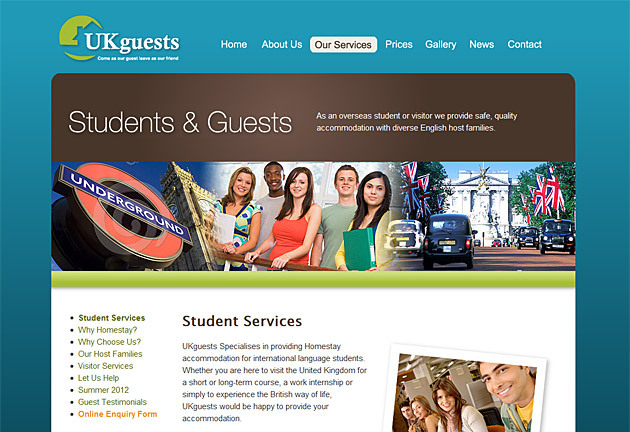 New in though, we start with an entire rebranding exercise of UKguests PLUS their new improved website. All of the print / exhibition work we are doing for them will be up on here soon and the NEW site _should_ be launching within the next couple of weeks but until then you can enjoy the slender visual above.